In December 2003 the military-owned King Abdullah II Design and Development Bureau formed a joint venture with Australia's Seabird Aviation to provide surveillance aircraft for Iraq, Jordan and Gulf Cooperation Council states. The two companies agreed tol cooperate in the assembly of the SB7L-360 Seeker aircraft at a plant in Jordan. The CPA was also investigating the use of reconnaissance aircraft in order to effectively monitor the miles of Iraqi border, and infrastructure such as pipelines and electrical transmission facilities. In late June 2004 the US Army scrapped a planned acquisition of eight fixed-wing surveillance airplanes for Iraq because none of the bidders could meet requirements. US Central Command moved forward and purchased two Australian-built SB7L-360 Seeker reconnaissance aircraft. 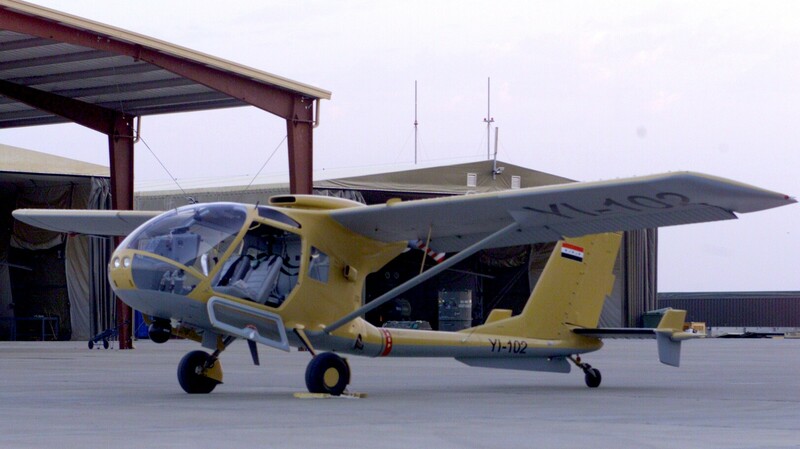 The new Iraqi Air Force purchased its first two Seeker aircraft in Jordan, June 10. Delivery was scheduled for mid-July in Basrah. The two Australian-manufactured SB7L-360 Seeker Reconnaissance Aircraft were the first purchases toward a tentative force of 16 surveillance aircraft. The Iraqi air force commenced operations 18 August 2004, with the flights of two SB7L-360 Seeker reconnaissance aircraft in "limited operations missions" intended to protect infrastructure facilities and Iraq's borders as part of the Iraqi government's continuing mission to provide peace and security to the citizens of Iraq. The missions, limited in scope, are intended to serve as follow-on training for the force's pilots while simultaneously supporting the ongoing security mission in the country. Coalition trainers will continue to accompany Iraqi pilots in a support role. The SB7L-360 Seeker is made by Seabird Aviation Australia Pty Limited. The aircraft, single-engine, two-man, high-visibility aircraft fitted with high-resolution surveillance systems, were originally purchased in June in Amman, Jordan. They are the first of an eventual force of ten light aircraft - of similar capability - that will be contracted for by Sept. 21. The Australian aircraft are capable of providing live observation feedback to ground forces and additionally carry digital video recording hardware and other reconnaissance technology. Their employ will be coordinated with Iraqi and coalition force efforts on the ground and will eventually include operations all over the country as the government deems necessary. The Coalition Military Assistance Training Team is a branch of the Office of Security Transition / Multi-National Security Transition Command - Iraq specifically tasked with assisting the Iraqi government train and equip its armed forces. This is a new concept of flying compared to what they experienced in their old air force. Continued operational training will include additional emphasis on map-reading and navigation orientation in the air. The old air force had previously placed more of an emphasis on getting airborne before receiving direction from the ground on operational details and destinations. Pilots have previously undergone instruction in Jordan and began workup training for operations in Iraq on Aug. 7. The aircraft are intended to represent an interim capability until future craft and forces are in place to augment the existing structure. Jordanian agents for Queensland-based Seabird Aviation believe they will sell up to 24 light SB7l-360 Seeker surveillance planes to Iraq.